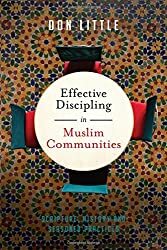 As far as I am aware this is the first (and only) book on discipling believers from Muslim backgrounds (BMBs) that is more than simply one person sharing his or her experience. Buy the book here. Kindle version to be released in a few weeks.